Just got back from seeing 22 Jump Street. 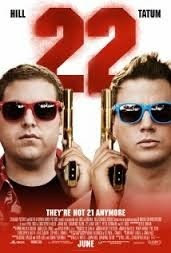 I vaguely remember 21 Jump Street when it was on TV and I never saw the movie, but I really enjoyed this movie. It had quite a few funny scenes and Channing Tatum is always nice to look at.